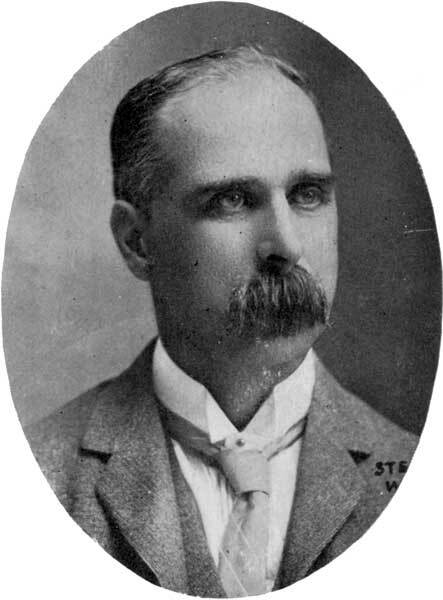 Born at Toronto, Ontario on 17 September 1857, he worked at that city for several years with the Western Canada Loan Company, becoming its manager at Winnipeg in 1888. He then became manager of the Canada Permanent and Western Canada Mortgage Company when it amalgamated with his firm. He retired in 1905, after which he engaged in financial transactions and real estate. On 11 June 1884 he was married to Amelia Perrin (1863-?). They had three children: Edwin Maurice Fisher (1886-1916), Harold Laurence Fisher (1889-1916), and Audrey Fisher (1890-?). He owned the Happyland Amusement Park for many years. He was a founding member of the St. Charles Country Club. He died at Winnipeg on 18 January 1920 and was buried in the St. John’s Cathedral Cemetery. “Pioneer in financial circles passes away,” Manitoba Free Press, 24 January 1920, page 16.